Think you have what it takes to amputate your own arm? What about somebody else's foot? Now, thanks to the wide array of mobile apps available from the iTunes App Store, you might not need to attend medical school to perform a tracheostomy. 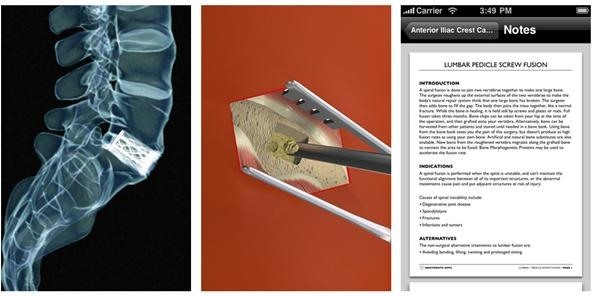 Okay, so that's not really true—iPhone apps could never replace the teachings of a qualified medical instructor, but keeping up on your anatomy and surgical procedures on your mobile device keeps you sharp and on your toes (unless you're trying to amputate them). 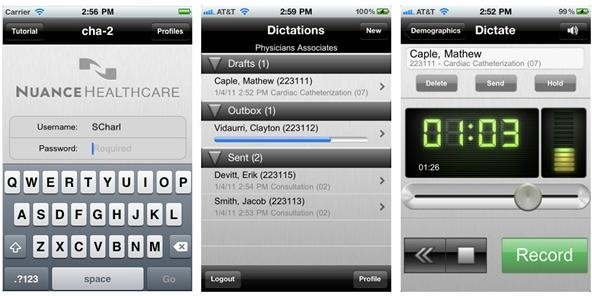 Here are a few apps that every medical student, doctor, registered nurse—anyone in the healthcare industry—should have! First things first—learn what's inside the human body. If you don't know where the left subclavian artery is, you're not going to do your patients any good. 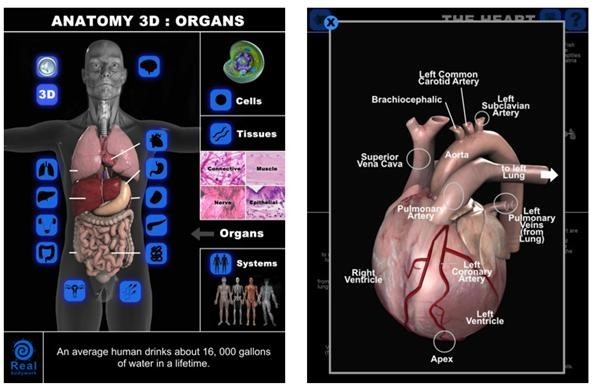 A new iPad-only app to hit the scene is Anatomy 3D: Organs by Real Bodywork. It costs a whopping $6.99, but it's a good investment for any would-be doctor. It uses 3D models, video, audio lectures, quizzes and text to teach you about the brain, heart, stomach, spleen, pancreas, small intestines, reproductive organs, large intestines, kidneys, liver and lungs. There are other anatomy apps like iAnatomy and Human Body 3D Anatomy, but they fail to compare. Real Bodywork also has some companion apps you should check out. They seem to have a good reputation among medical professionals. So, you've got anatomy down? But now you need to learn all of the medical terms, aside from organs and tissues. 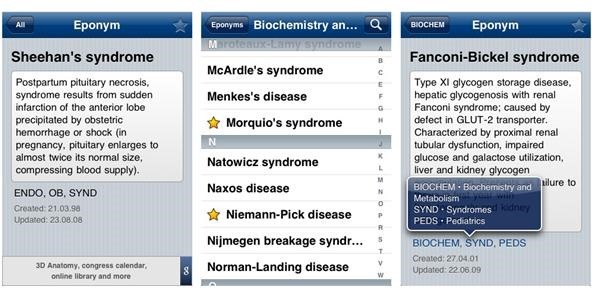 One of the more interesting apps, aptly named Eponyms, gives medical students short descriptions of the 1,700 common and obscure medical eponyms. If you don't already know, an eponym is a person after whom a discovery, invention, place, etc., is named. Like Rovsing's sign, Barton's fracture and McArdle's syndrome. Very handy, very useful. 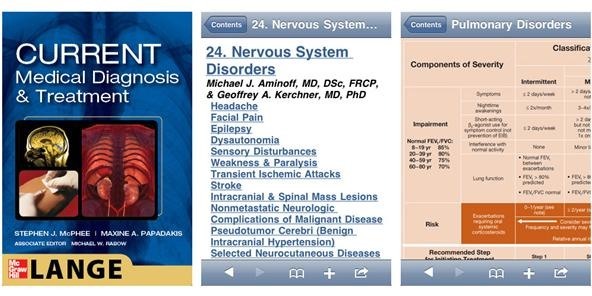 Possibly the best app to help you pinpoint the problem and correct it is the 2011 Current Medical Diagnosis & Treatment 50 Anniversary Edition. It may be a long name for an app, but thankfully, it matches it with comprehensive insight into the symptoms, signs, epidemiology, and treatment for more than 1,000 diseases and disorders. Once you know what's wrong with your patient, you need to figure out what medication they need, along with the proper dosage. iMeds helps you figure that out with over 7,300 FDA-approved medications listed, then gives you all the prescription details. 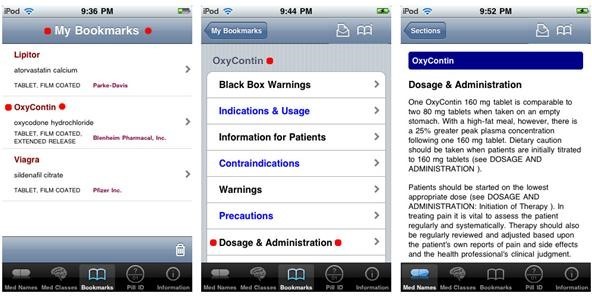 In order to prevent a malpractice suit, you're going to need a good dictation app. Dragon Medical Mobile Recorder is just that. It's intended for use with Nuance's eScription, Dictaphone Enterprise Speech Solution, or iChart transcription platform. You record the dictations on your iPhone, which then wirelessly transmits them to the system where the speech recognition helps with the transcription automatically. Cool stuff.